The National Summit on Military and Veteran Peer Programs: Advancing Best Practices will take place on November 2nd and 3rd, 2016 in Ann Arbor at the University of Michigan. Hosted by M-SPAN (Military Support Programs and Networks, www.m-span.org), the Summit will convene university and VA researchers, leadership from peer programs across the country, military stakeholders, clinicians and service providers, military and veteran-focused non-profit agencies, and funding organizations to present best practices, foster collaboration, advance contributions to the field, and frame the direction of ongoing work. The 2-day Summit will include a diverse program of keynotes, expert panels, and facilitated small group discussion. 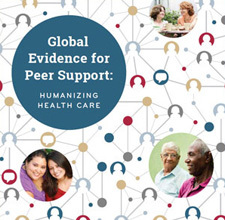 A highlight of this event will be the release of a RAND Research Brief on peer programs. Presentations will also cover such relevant topics as: highlights from effective programs; strategies for recruitment, training, and support of peers; case studies of successful public-private partnerships; certification and reimbursement processes; examples of innovative technology; program evaluation measures and approaches; and outreach, dissemination, and sustainability approaches. Task groups will be formed on the second day of the Summit as a vehicle to continue discussion and integrate learnings as we “sharpen our saws” to advance best practices for these programs. This is an open event. Please share this information with others who may be interested in attending. The National Summit is presented by M-SPAN (Military Support Programs and Networks), a portfolio of military mental health programs within the Department of Psychiatry and Depression Center at the University of Michigan. Funding for this event provided by the Robert R. McCormick Foundation and the Bob Woodruff Foundation. Funding for the RAND Corporation Research Brief provided by the Bristol-Myers Squibb Foundation.